Up and Coming - May / June 2018 was sent to 818 subscribers of the Up and Coming list on MailChimp! 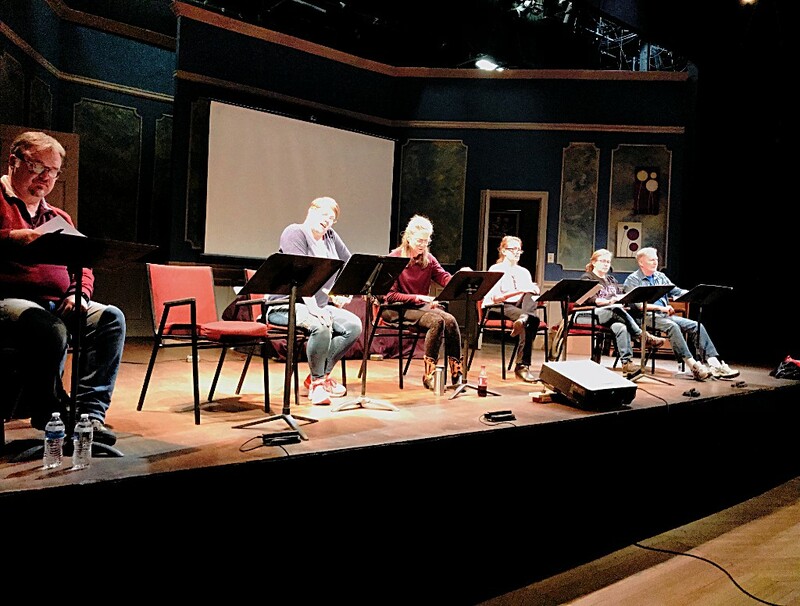 So what exactly did happened with the April 22 reading of Wounded Angels at Seven Angel's Theatre in Waterbury? Seven extraordinarily talented actors came together under the careful direction of Ilvi Dulack to conduct the reading. They brought their talent, energy, passion (and several of their own costume and prop accessories) to put on one hell of a show! I am forever indebted to them for taking part in this labor of love. Seven Angels Theatre, under the guidance of Artistic Director, Semina DeLaurentis, provided an exceptional space for the conduct of the reading and provided a wealth of expert staff and crew support for the production. 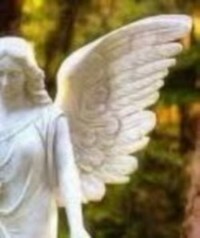 I thank Semina and all the Seven Angels team from the bottom of my heart. For any of you who have not yet attended one of their main stage productions, I encourage you to do so and to be delighted that you did. Over 150 people attended the performance from throughout Connecticut and from as far away as New Jersey and New Hampshire. 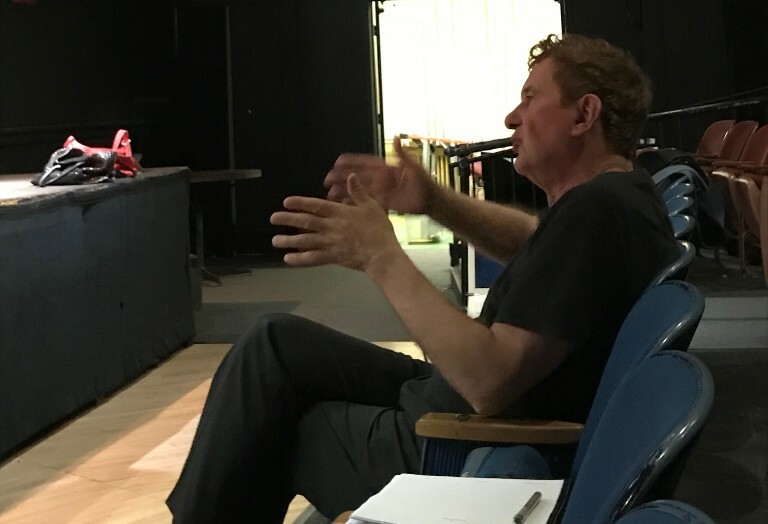 During the reading, I was nestled back stage handling the technical aspects and was delighted to monitor the audience reaction to each of the scenes, from laughter, to gasps, to absolute silence, to the gratifying applause and standing ovation at the ending. My deepest appreciation to all of you who came out for the performance. Following the reading, everyone gathered for the after-performance reception and once again, I was overwhelmed by the delicious contributions to the event by my amazing family, friends and John and Betsy, the wonderful managers of Tops Market in Southington. Following the performance, I have been blessed with a shower of compliments in person, by phone and via cards and letters and I am deeply grateful to one and all. It has taken me over a week to recover from the physical exhaustion, emotional exhilaration and elevated ego while perched on my own personal cloud. I would also like to express my appreciation to Joanne Greco Rochman of the Waterbury Republican American for the full page feature article she did on me and the play (Wolcott's Miceli is a master of mysteries) in the April 19, Accent Weekend magazine section of the paper. In a thank-you note I sent to her, I joked that "Some day, I'd like to meet that fellow." Many of you have asked, "What's Next?" Feeback. What is needed now is a candid appraisal of what worked and what could be improved. That's where you come in. If you attended the dramatic reading, please complete the survey at the bottom of this newsletter and reply to me by May 15 with your comments. When Michelangelo was asked how he could make such beautiful statues out of blocks of stone, he answered that the statue was inside all along and he just needed to chip away enough of the stone to release it. The feedback I receive from you will help me to decide what I should leave alone and where should chip away to let the final play emerge. Re-writing: I re-wrote Wounded Angels multiple times before it was ready for the reading, and I will probably re-write it several more times before it becomes a play. Pitching to Theaters: When I feel the play is ready, I will send it to theaters that I think may be interested in producing it. Since Seven Angels took a chance on me for the reading, if they are interested, I would love to produce the main stage play there. Wherever the play is selected for production, it will most likely undergo further revision based upon discussions with the directors and producers. Scheduling and Producing the Play: While I was hoping to get Wounded Angels on stage next year, I realize that theaters are busy scheduling their lineups for next year's season now and it may be unrealistic to get the play produced that soon. I do believe it is realistic to get a full production by the following season, however, so that will be my end goal and I will keep you posted. Finishing the Novel: Wounded Angels is based upon a much more extensive novel by the same name. I will be working on that project at the same time as I pursue the play production. It may actually be possible to finish the novel before the play, but, at the least, my hope is that when you see the play, you can meet me in the lobby afterwards where I can sign a first-edition copy of the novel for you. I am thrilled to have been invited to be one of the presenters at this year's Halo Awards ceremony on May 30 at the Palace Theater in Waterbury. The Halo Awards recognize outstanding achievements in high school theatrical productions. After quickly accepting the invitation, I asked for a listing of the various high school productions state-wide. I have been attending several of these plays to gain an appreciation for the work these students are doing and I have been amazed at what I have seen. From the performances, to the sets, to all of the technical aspects of these productions, we can be rightfully proud of the amazing theatrical talent in our Connecticut students and the dedicated teachers and parents that mentor and support them. Here are the items for which I would appreciate your feedback. In giving your comments, please respond to the play itself, not to the acting or directing, as that will vary by the cast and director. It is the written play that I will be revising. And don't feel like you have to write a lot. A few words will suffice. I'm just looking for things that stood out to you and you would like me to know about. If you can, just reply to this email along with your answers. To be safe, hit "reply" not "reply all." If that doesn't work, simply copy the questions into your own email program along with your answers and send to Chuck@AuthorChuckMiceli.com or AuthorChuckMiceli@gmail.com. If possible, please respond to me by May 15. I will plan on summarizing the responses I get and the changes I am considering in my June update. 1. How about the story itself? Did it keep you engaged? Could you relate to it? Did I belabor anything too much? Was there anything missing? 2. What did you think about the tone and pace of the play? Were there parts that you especially enjoyed? Were there parts that dragged, lacked emotion or felt overdone? 3. How did you feel about the characters. Were they fully developed enough? Were they interesting and realistic enough? Were their words and actions consistent with who they were? 4. How about the settings? Were the times and places appropriate? Did any scenes seem repetitious, too long or unnecessary? 5. Based upon other dramatic plays you have seen, on a scale of 1 to 5, how would you rate this play by comparison? 1 = Much poorer, 2 = Poorer, 3 = About average, 4 = Better, 5 = Much better. 6. If Wounded Angels were to be developed into a full main stage production, how likely would you be to attend? 7. Please add any additional comments you would like to make.